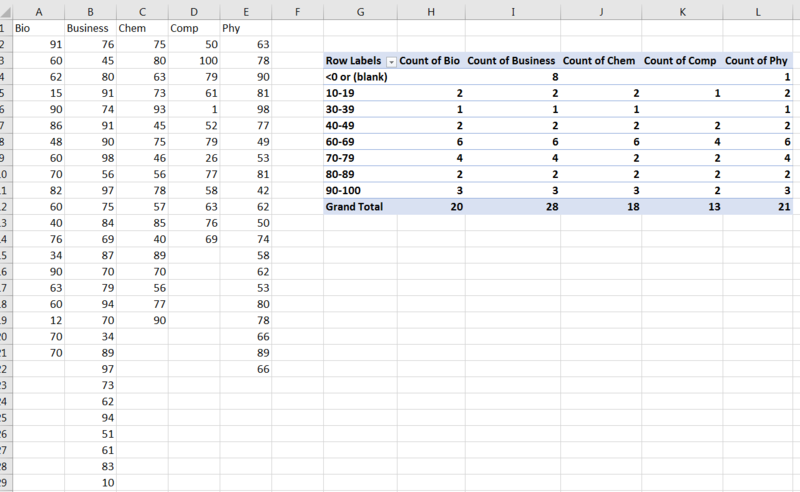 I wanted to do a pivot table as shown below. Clearly it is not correct, as Business is the most popular subject and it shouldnt have any "<0 or (blank)". I am assuming that the problem here is that I haven't sorted out my data. But which column should I sort (before creating the table)? Your data is not in the correct structure for a PivotTable. You need to unpivot it. Google "Unpivot" and "Excel" and you will find many ways to do this, including using the PowerQuery addin (available natively in Excel 2013 or later under the "Get & Transform" tab). Not the answer you're looking for? Browse other questions tagged pivot-table microsoft-excel-2016 or ask your own question. 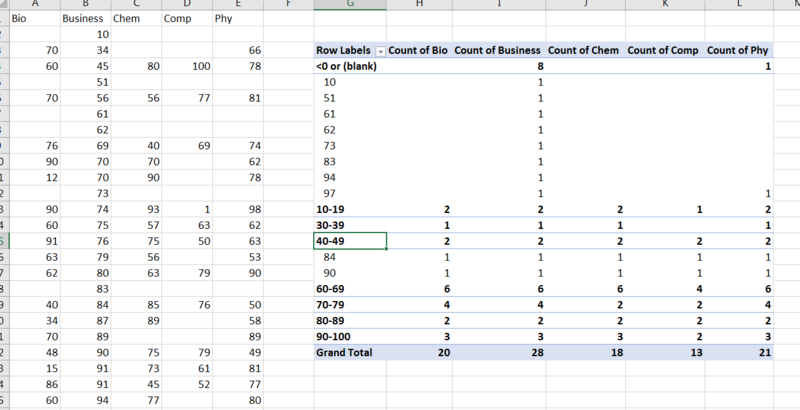 How to preserve sort order in Excel Pivot-table? Pivot table filter pane is not sorted. Why?